This last Saturday was one of the first in a long long time that we didn't have the entire day planned out, which meant some time in the kitchen for me. I had a huge pot of borscht simmering away on the stove for a few hours and then needed some lunch. 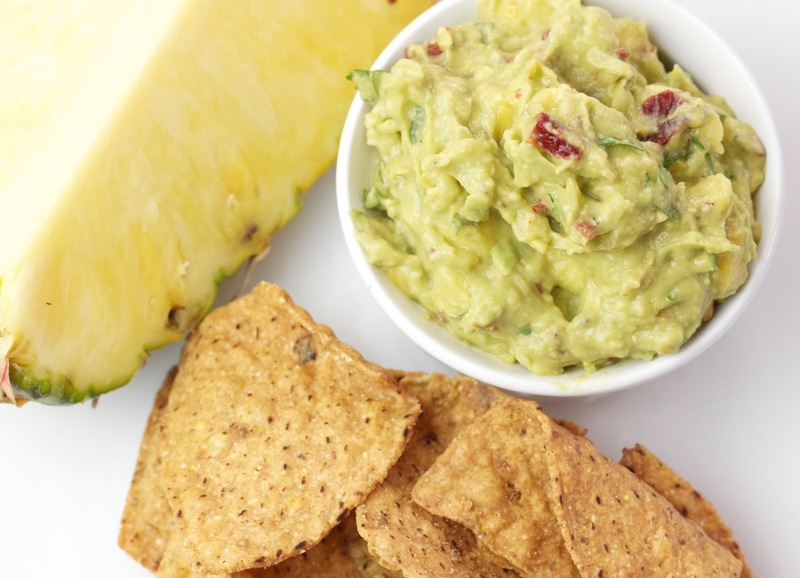 Ripe Pineapple, Mango and Avocados came together to create an amazingly fresh guacamole that went perfectly with the Pumpkin seed tortilla chips I had picked up from Costco. We eat a lot of avocados around here, so there are usually some on the counter. I have to admit though, they typically don't make it much further than just being eaten fresh with some salt on them. I do love a good guacamole though. This one was a bit different though than your traditional, especially with the addition of the chipotle peppers. I had never had these, the ones packed in adobo sauce, before but I loved the flavor and the heat that they added. 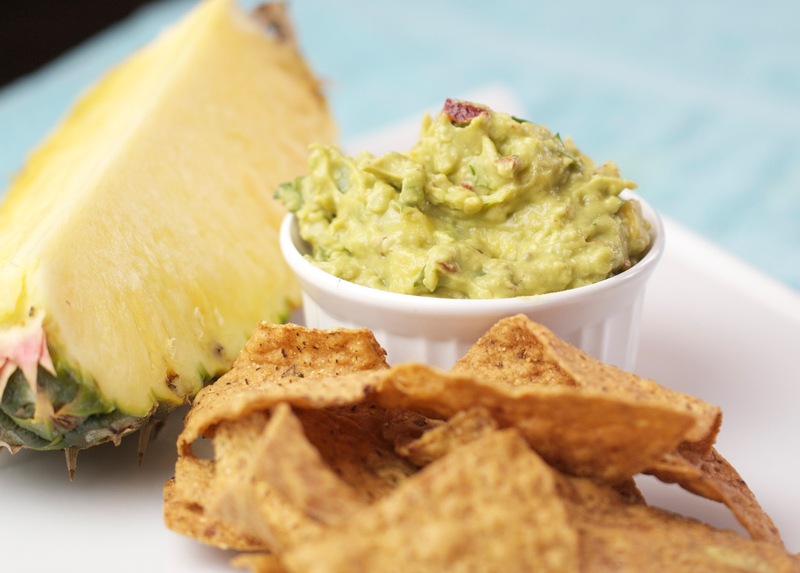 The addition of the pineapple and mango added some sweetness and just made for an over all fresh tasting dip. 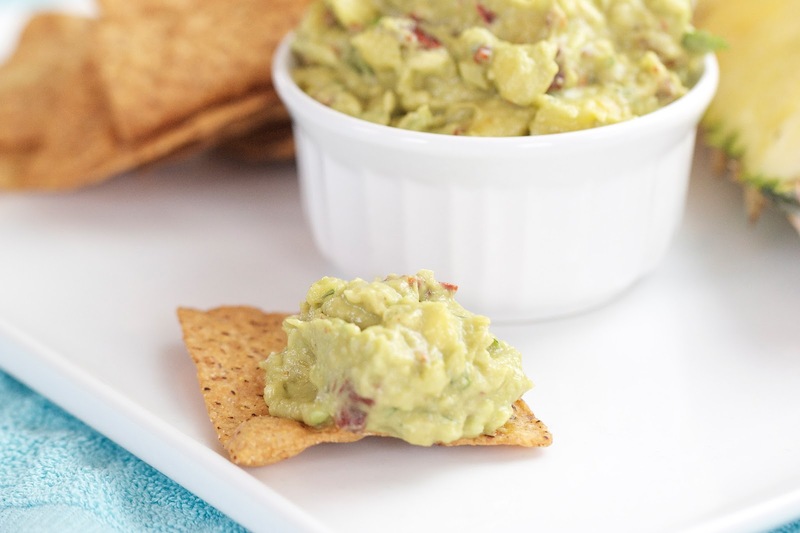 To get the year of to a great start, the whole Virtual Potluck team is also sharing some of their favorite Guacamole recipes today too! In a large bowl, mash the avocado until there are coarse chucks. Add the remaining ingredients and stir until combined. Serve immediately. This guacamole looks so good, I love the tropical fruits paired with the smoky chipotle! Sounds absolutely delicious. I'll have to look for the pumpkin seed tortilla chips - they sound great too. Good luck with your new business venture. Beautiful photos Matt and looks incredibly delicious! I love avocados every way and I would love to try this spicy version, looks great! Very tropical. I adore pineapple, and it sounds like the perfect thing to go with the avocado. Hmmm... if you made enough guacamole, you could fill a pineapple shell. Or would that be too much? Chipotle with the fruit sounds like a great flavor combination for guacamole. Yum! I love all the great flavors going on in this guac. Sounds great! Love it! 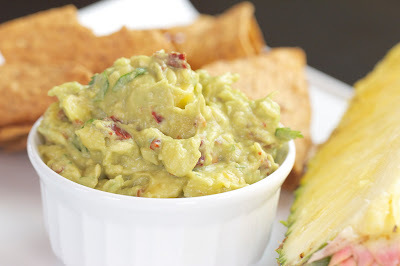 There is going to be a Mango Chipotle Guac w/ Bacon in my cookbook. Love the addition of Pineapple too!